The antiestrogen tamoxifen is extensively metabolized in patients to form a series of compounds with altered affinity for estrogen receptors (ERs), the primary target of this drug. Furthermore, these metabolites exhibit a range of partial agonist and antagonist activities for ER mediated effects that do not depend directly on their absolute affinity for ERs. Thus, clinical response to tamoxifen therapy is likely to depend on the aggregate effect of these different metabolites resulting from their abundance in the patient, their affinity for the receptors, and their agonist/antagonist profile. 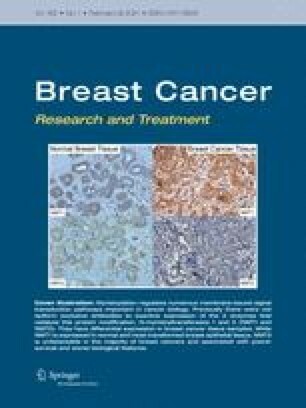 A recent study has shown that plasma concentrations of the tamoxifen metabolite 4-hydroxy-N-desmethyl tamoxifen (endoxifen), in patents undergoing tamoxifen therapy, are dependent on the cytochrome P450 (CYP) 206 genotype of the patient and that medications commonly prescribed to patients on tamoxifen therapy can also inhibit endoxifen production. In this study we characterized the properties of this metabolite with respect to binding to ERs, ability to inhibit estrogen stimulated breast cancer cell proliferation and the regulation of estrogen responsive genes. We demonstrate that endoxifen has essentially equivalent activity to the potent metabolite 4-hydroxy tamoxifen (4-OH-tam) often described as the active metabolite of this drug. Since plasma levels of endoxifen in patients with functional CYP2D6 frequently exceed the levels of 4-OH-tam, it seems likely that endoxifen is at least as important as 4-OH-tam to the overall activity of this drug and suggests that CYP2D6 status and concomitant administration of drugs that inhibit CYP2D6 activity have the potential to affect response to tamoxifen therapy.